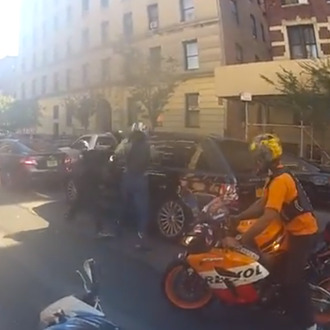 The latest suspect in custody in the biker-gang beating of an SUV driver last week is a man named Craig Wright, 29, of Brooklyn. He was arrested late Monday and charged with gang assault, assault, and unlawful imprisonment, but prosecutors haven’t yet explained what role he allegedly played in the chase and beating. Police said five or six participated in the actual beating, and one of the four arrested was the guy who apparently slowed down in front of the SUV, causing the initial confrontation, so more arrests are probably in the works.